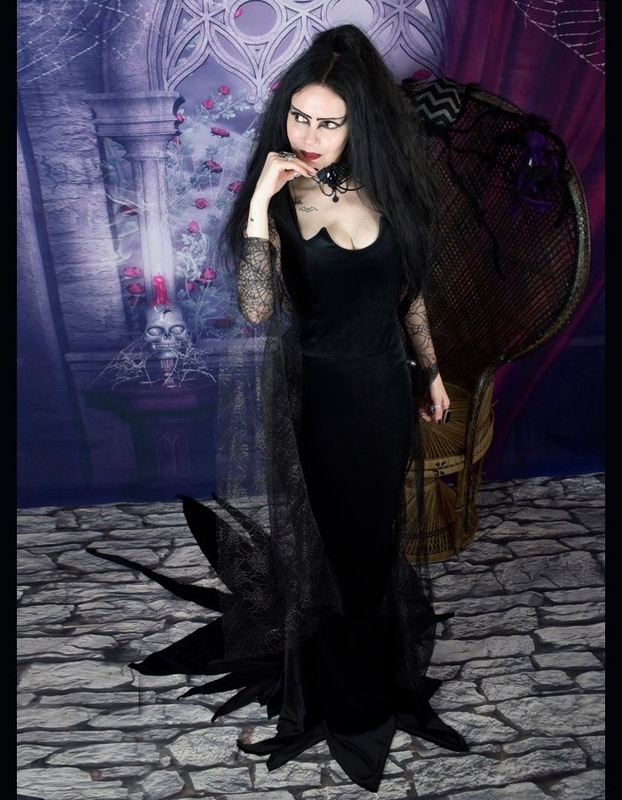 A brand new Morticia Dress! It's based on the epically slinky dress worn by Ellie Harvie in The New Addams Family, it has a fitted bodice with the trademark batty-pointed neckline, long cobweb lace sleeves with awesome floor length danglies... and an amazing skirt; fitted down to the knees then flaring out into an immense raggedy train. Based on Ellie Harvie's Dress in "The New Addams Family"